piCture pOlish Ocean Swatches and Review - Polish Etc. How about another gorgeous piCture pOlish lacquer today? I'm in love with this polish, and with Blog Fest 2013 still going strong it seems appropriate! Ocean has an ocean blue (do you see what I did there?) jelly base loaded with scattered holographic particles. Since the base is a jelly, it is a bit sheer, so this is three coats. 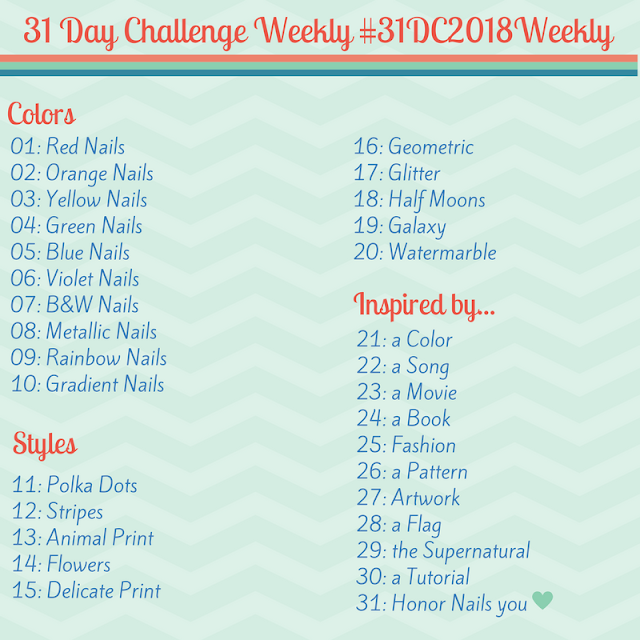 When I first started this manicure, I had one coat on my nails and thought "this is going to be too sheer, I won't like it" but it built up very nicely and in three coats I had both opacity, and a gorgeous depth that wouldn't be possible with an opaque base. I have worn for 4-5 days without any sign of chips or wear, and I didn't haven't had any issues staining. I can't even describe to you how much I love this nail polish. The color is absolutely perfect, it's the bright blue of clear ocean water. It reminds me of looking into the water around Hawaii. Also, piCture pOlish scattered holographic polishes always have the most beautiful sparkle! I may have gotten a bit carried away with the photographs (what can I say, I'm in love) but I also had fun with some seashells, a perfect match for Ocean! I absolutely adore this polish. I've worn Ocean 3 times since I purchased it a little over a month ago, and that's saying something for me! It's such a bright beautiful summer blue, and so flattering! Lastly, a little plug for Blog Fest. If you liked my nail art yesterday, please consider voting for me! Everyone has a chance to win 6 bottles of polish of their choice! 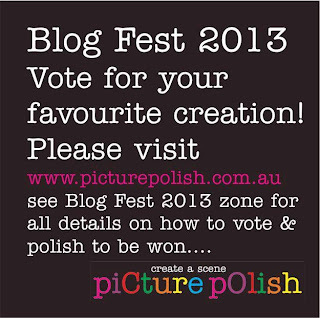 There will be four (4) lucky voters (2 x Aussie and 2 x International) out of the votes for the winning Blogger creation. To vote: Click the image below (or this link). Fill out the form with your name and email address, put the name of the blogger you wish to vote for in the comments section (for example, Polish Etc), type in the security code and hit submit! Voting is only open for about another 12 hours!! You can check out the other entries on the piCture pOlish Launch Board. One of the most beautiful polishes ever created! Love it! Isn't it so pretty! Gah...I adore all of PP's jelly scattered holos so much. Kryptonite is still my fav, but this is now a close second. It's gorgeous on you! Kryptonite was my first PP favorite! I know how you feel. Once I'd tried that one I knew I'd eventually have to own them all. Thank you so much!